Have students outline several objects such as glue bottles, large paint brushes, scissors, etc. Students add a few details to each object such as labels, handles, etc.Then they are to draw two vertical lines and two horizontal lines across the page - dividing up the tools as well. This will divide the paper into 9 sections. (The lines can be curved or straight - skew or parallel - child decides).Now students pick cool colors (blue, green, and purple) and color the tools, being careful to change colors every time they come to a line.Students may also use different values of the cool colors. An alternative is to use warm colors if you want your students to learn those too. Students might create one picture using cool colors and the other using warm colors. They then mount both pictures on one 12"x18" (30.5 x 46 cm) piece of colored Construction Paper . Both pictures should relate in some way. For example, if you are using scissors, you could use two different kinds of scissors. My kids absolutely love this opportunity to explore color combinations and also get silly with shaving cream!!! Give each child a few squirts of shave cream on their desk or table. Allow the children to "experience" the qualities of the cream before adding the dry paint. Encourage the children to mix & discuss the amazing colors that they have created! Have fun !!! Swirl the colors on the shaving cream --lay white paper over the shaving cream and make a print. See Middle School Shaving Cream Prints lesson plan. NOTE: This lesson was submitted in the early days of IAD when teachers had no scanners or digital cameras to take pictures of student work. Elementary art teacher in Austin, Texas. 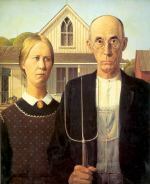 Write about 25 words about the artist of the picture for paragraph 2. 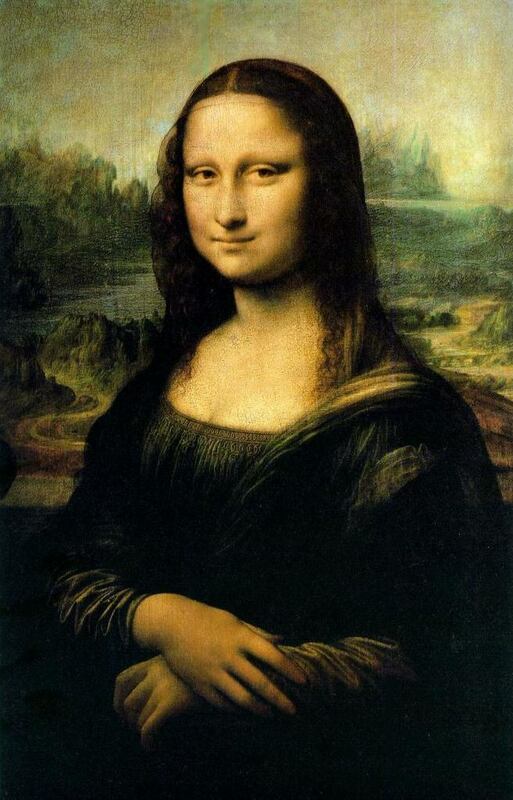 Write at least fifty words about what you think the Mona Lisa sees in front of her that puts a smile on her face. Write about 25 words about the artist of this picture for paragraph 2. 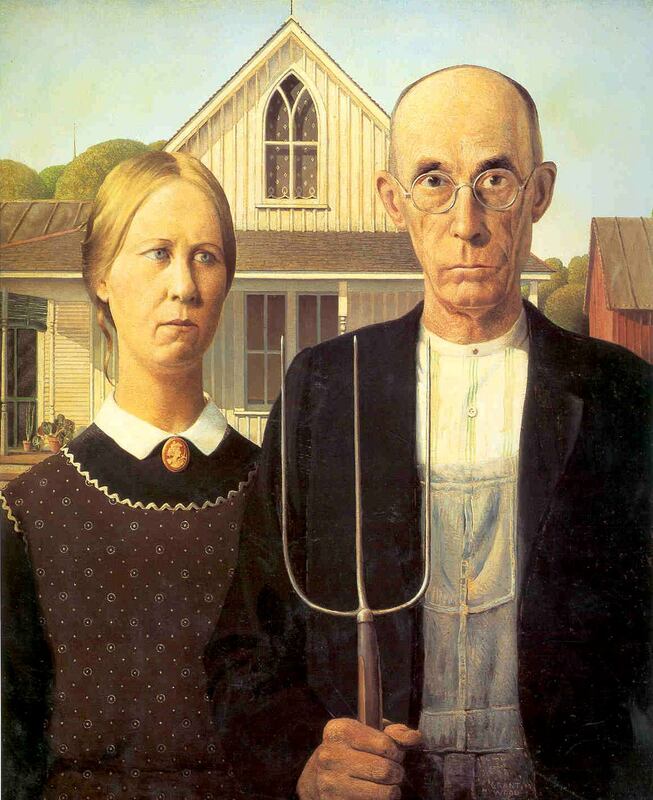 You are a salesperson selling this Iowa farm couple something. What are you selling them? What do you say to make them buy it? What do they say to you? Write out your conversation. Write at least 25 words about the artist of this picture for paragraph 2. 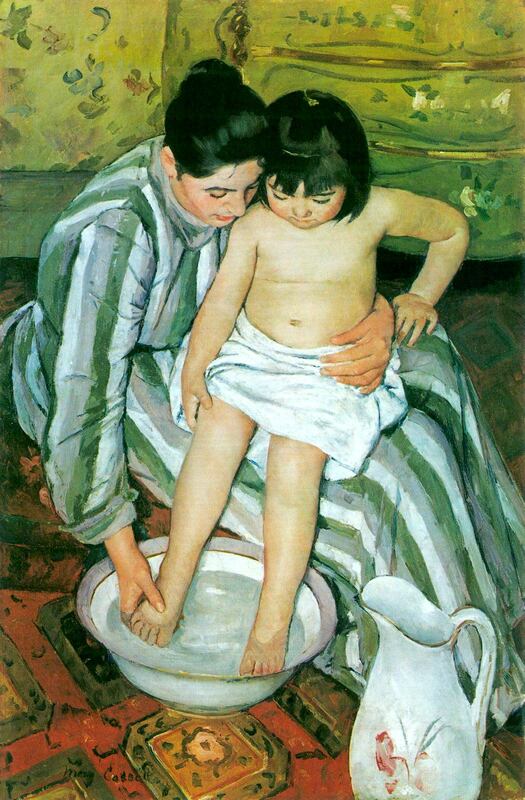 This mother and child are getting ready for a special day, occasion, or holiday tomorrow. What is the event? What will they do? What will they eat? How will they celebrate? How will they dress? Where will they go? Who will they see? Use any ideas you know about or make up the place or event.